I have always wanted to learn how to ride the waves and try surfing. 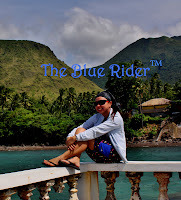 Baler, the capital municipality of Aurora Province, is situated in the Eastern Central Luzon facing the Pacific Ocean. It is approximately 230 kilometers from Manila and can be reached by traveling the roads (via Pantabangan or via Bongabon) that twist through the Sierra Madre mountain range, where maybe the only remaining lowland virgin forest, as well as the largest areas of upland virgin forest, in the country is located. After that tiring overnight sleep from an endless road trip , we had our breakfast, rested for a few minutes and finally went off to begin our great surfing experience. Our surfing lessons were provided by Aliya Surf Camp instructors. We had our accommodation in Mahdox Backdoor and originally planned on taking surf lessons from Mahdox Surf School but we changed our minds. We lay our cards on the surfers of Aliya Surf Camp. The instructors, aside from being excellent surfers, provide personalized one-on-one coaching and are very also courteous and friendly. To begin with, we were first taught of the basics of surfing – the different parts of the surf board, proper positioning, standing, balancing and popping up techniques. Right after the quick orientation, we all headed off to the beach for the real action and began our surfing session. After several tries, most of us managed to stand up on our boards without falling. We were able to ride the waves as far as we can go – one of the best feelings ever! Surfing is very challenging and exhausting yet it is truly one of the most thrilling experience ever. So go ahead and grab those surfing boards and jump off the water and surf up!